Long story short: While the students are away, you don't have to pay (much). If, like me, you enjoy visiting and staying in central London, but if, again like me, you don’t have infinite amounts of money to do so, your options are pretty limited. Even the so-called ‘sharing community’ isn’t that affordable, with Air Bn’B rates as susceptible to the laws of supply and demand as hotels. Time it right, though, and you can have this: a spacious room overlooking The Strand and Waterloo Bridge, situated in one of the city’s most attractive and desirable buildings, with free wifi, a huge kitchen to save on eating out expenses and no hidden extras for essentials like towels and soap (thanks, budget hotel options). And the price? Less than £50 a night. Yes, you may well fall into the Thames with the sheer force of that gob being smacked. And no, it’s not a chain hotel of any kind, nor a hostel where you have to share bedrooms and, to misquote Peep Show, can never really do a relaxing poo. It’s a little-known hotel hack by the name of University Rooms. 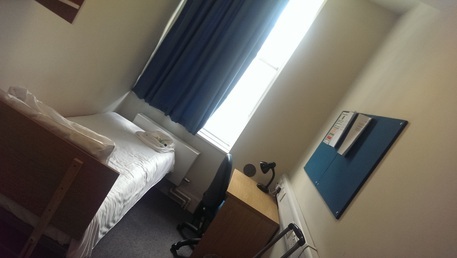 Because, during the holidays, central London universities rent out their rooms to dummies like me. I ran it past my friends in London and literally none of them had heard of this, and neither had I until the Spring, when desperately searching for a hotel room that wasn’t going to leave me in Zone 4. Here’s the even more unbelievable news: there are over 50 halls of residence across the city just waiting to be stayed in, and in plum locations. Fitzrovia, King’s Cross, Westminster, Euston, Bloomsbury, Shoreditch. Whatever your London speed, you’re pretty well covered. 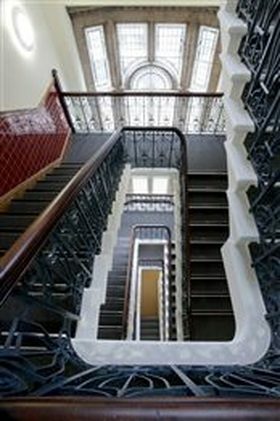 I stayed in Somerset House. Actually, Duchy House, but its attached to Somerset House, so on arriving, you pretty much feel like royalty, or at least Lord Sugar on a good day. Yes, you think as you look at the building, it may not be much but it’s a roof over my head. You can then laugh to yourself. Check-in is in one of the decorous lobbies and a super helpful chap called Justin took me through the particulars. He – or at least one of his colleagues – act as reception and concierge, and IT support when dumbos like me need it. The rooms, though? OK, they are basic, but no more basic than you’ll get at budget hotels in less awesome locations charging £100 a night. They’re clean, have comfy beds, extra bedding, desks and – thanks academia – fast wifi. The bathrooms are perfectly decent, and they throw you some branded toiletries and towels. It’s not The Wellesley. 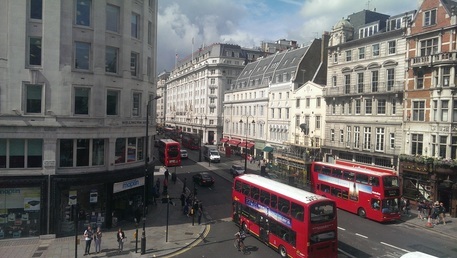 It IS, however, £50 a night and I can see Covent Garden and The South Bank without leaving the premises. And I can make my own bacon sandwiches and hot drinks (tea and coffee provided, bacon and bread you buy at the Tesco across the road) or nip into one of the greasy spoons downstairs. One very minor downside: check out is 10am but they’ll look after bags like any other hotel and who’s kipping in when you’re got Central London yapping at your attention span (oh, they also provide earplugs if you’re sensitive to traffic). I’m going to call it and say they’re London’s best kept secret. Maybe I was hitherto just way out of the loop. Either way, colour me impressed and richer than I would otherwise have been, and award University Rooms an honorary degree in hospitality, funny big hat and all. Champagne tastes: Double rooms with everything en suite in a very desirable location get up to £100 a beyond. Shandy Pockets: Most single rooms don't get much above £50 a night, and in many cases you're close to subsidised University dining. A degree of good value.